It’s Just So… – Run. Ride. Roam. I made quite a few “It’s just so…” statements today! “It’s just so…lovely.” “It’s just so…perfect” “It’s just so…super dooper.” “It’s just so…gorgeous.” It was another splendid ride and the bonus was…wait for it…hold onto your hats…stop the presses…you might like to sit down…we had sunshine, all day! 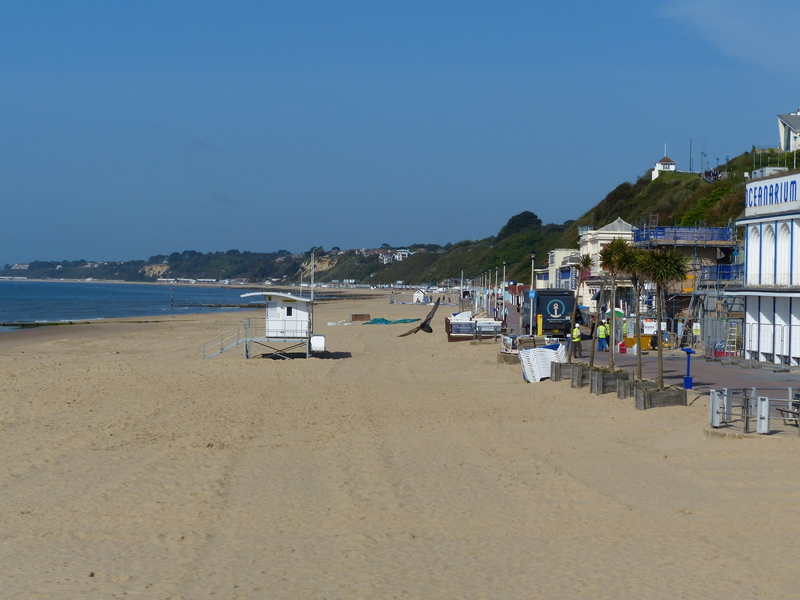 We left our cheap and cheerful hotel in Bournemouth and rode back down to the seafront and along the esplanade, greeting the morning cyclists and runners as we pedalled along. As we rode along, we clocked up another milestone, having now ridden 2500km. 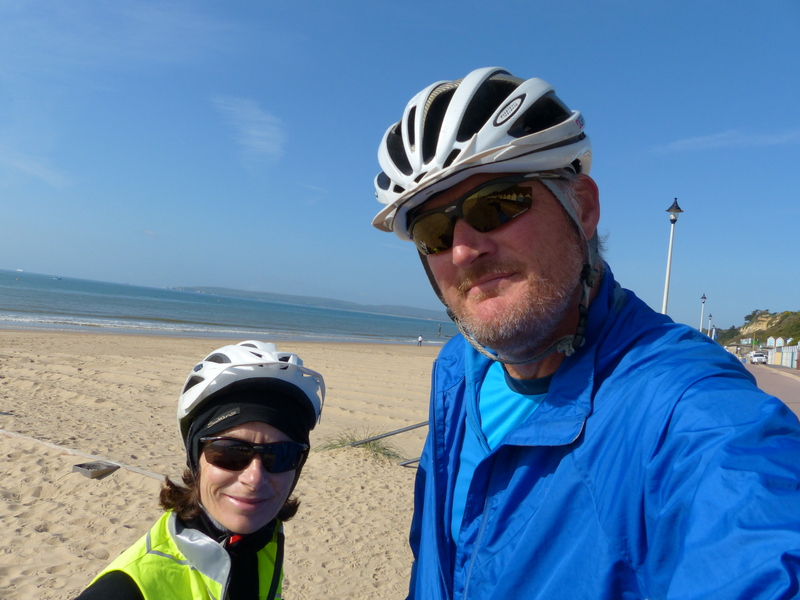 We rode into Poole where we were to catch the chain ferry across the river to Swanage. When we rode up to the ferry landing we found it was packed with cyclists, so obviously the riding over the river is equally enjoyed by the Dorset pedalling community. We chatted to a couple of them and talked about our trip, before pushing the bikes onto the ferry. I don’t think I’ve ever been on a chain ferry before and this one was really big, but with two huge chains that pulled it the 400m across the river, with its passengers and vehicles aboard. It was a pleasant crossing and we just chugged loudly but slowly across the river and then disembarked and began our day’s pedalling in earnest. 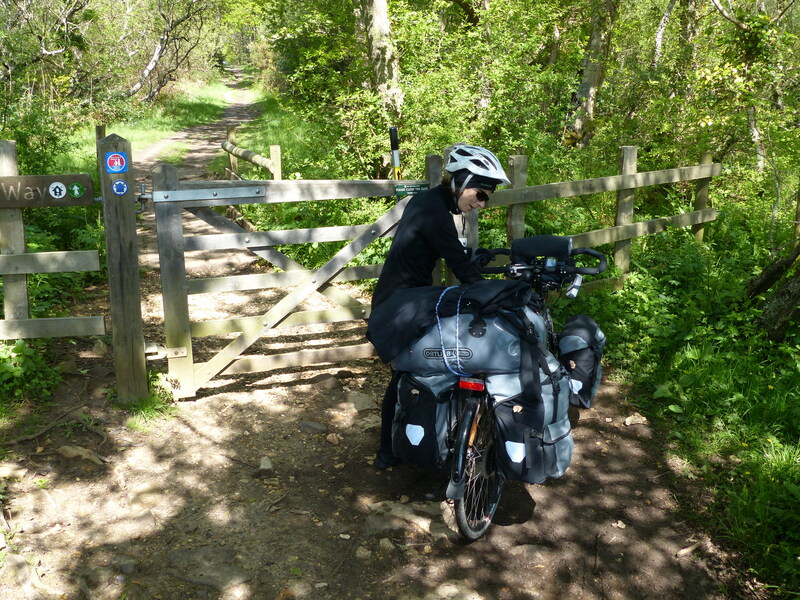 We were again following the National Cycling Network route 2, which would take us through Swanage and the Isle of Purbeck, then along the coast before turning a little more inland. The route began on a very rocky, bumpy and potholed track, so it felt more like mountain biking while carrying a 25kg load! It was good fun though and the bumpy bits soon eased off and the route gave us a mix of open farmland, through fields, across downs, through canopies of trees and it was just absolutely brilliant! 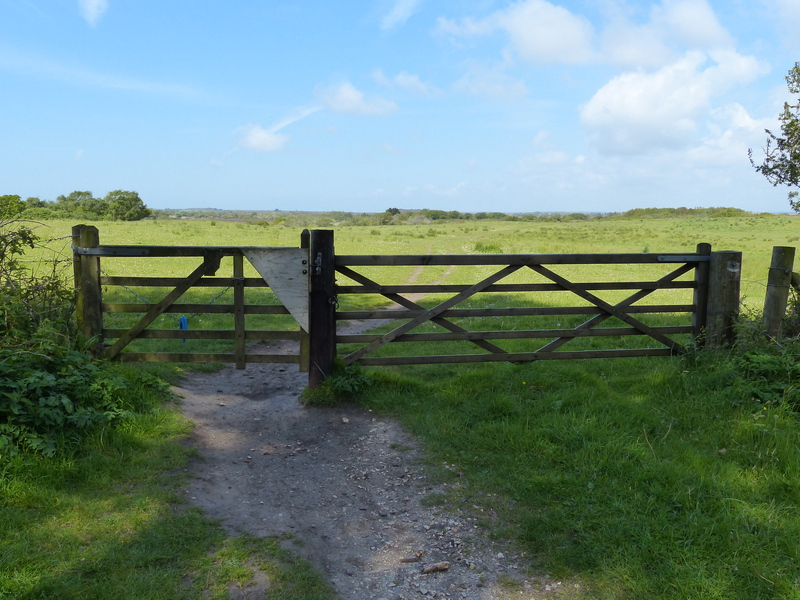 We rode across fields and stopped several times to open and close gates, some only about twenty metres apart, but it was just excellent. At one point, as we navigated our way through mud patches and bumps and grooves and dips in the ground, I said to Steve, “I’m just loving it! I don’t know if I’m going to be able to finish the ride without falling off or falling into mud, so if that happens, just remind me that I’m loving it!” As it turned out, I stayed in the saddle and managed to avoid toppling off the bike or toppling into a bog, so I just plain and simply loved it all! The only mishap was Steve’s bike saddle breaking. I think an email to Brooks is in order! 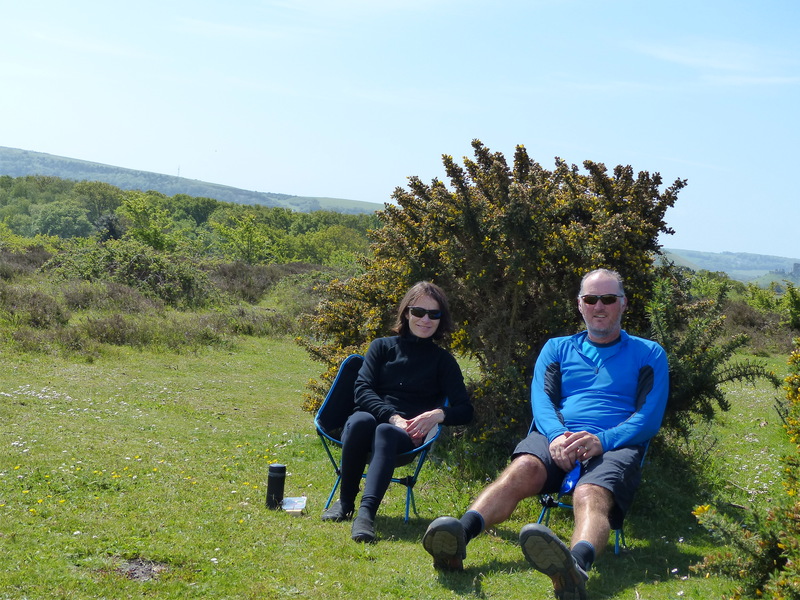 We stopped for elevenses nestled in the gorse bushes, to catch the sun and shelter from the breeze and looked out across the landscape. I could have sat there all day, in the warmth and looking at the scenery. It was perfect. We pedalled on and we had a few hills today, which was actually good because we’ve both been feeling a bit underdone, with our lack of consistent riding of late, so the hills were a good workout to help return some fitness to the legs and lungs. 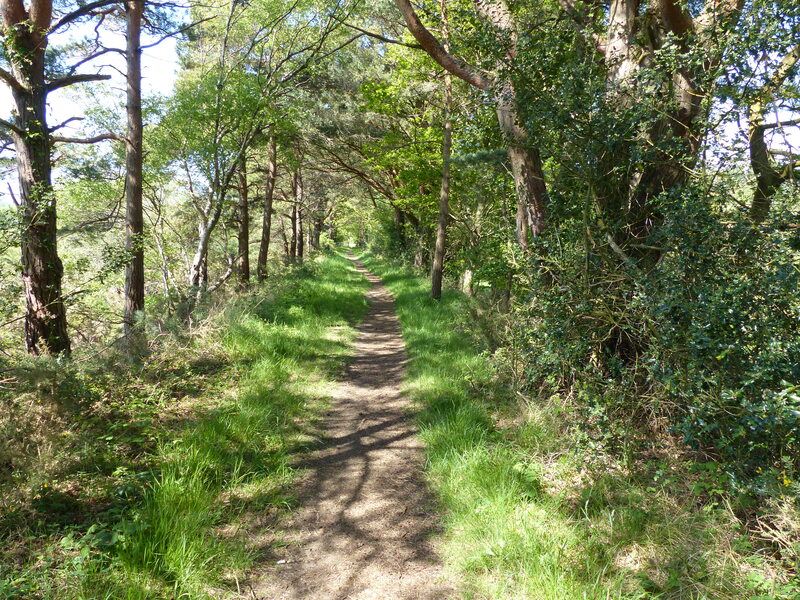 We rode along narrow country roads, lined with oak trees and the dappled sunlight shining through and patterning the road ahead of us. 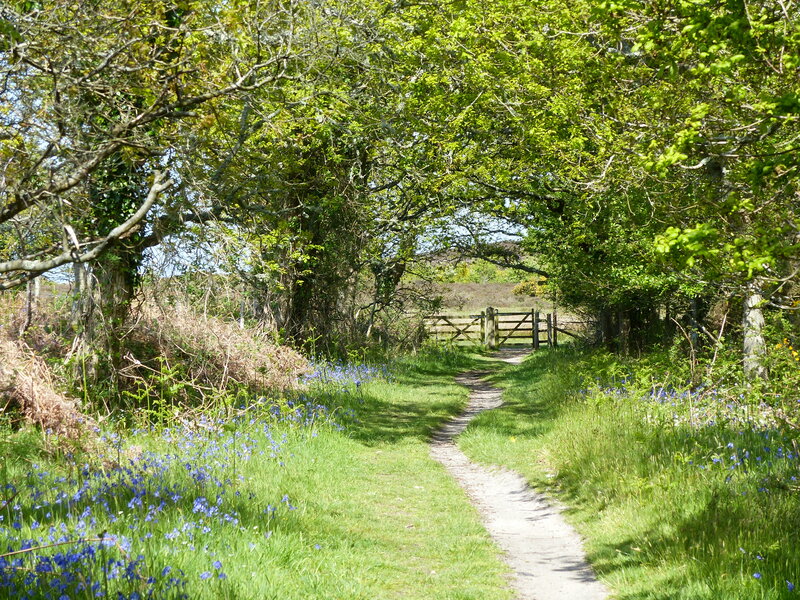 We wheeled around corners, along quiet lanes again lined with hedgerows and it was everything I’d imagined riding in the English countryside would be. It was so delightful. We passed riding stables and horses grazing, fields of rapeseed, five bar gates, tiny villages with more thatched cottages and chocolate box houses with their neatly clipped gardens and conservatories. Just charming. As we neared our destination campsite, we pulled into the tiny little village of Wool so Steve could pick up some lunch. I waited while he walked up the street to the bakery and then emerged carrying a couple of paper bags and hurriedly saying, “We have to find somewhere for lunch…now!” My first thought was, ‘Oh dear, is something wrong, that’s a very emphatic direction! Is he being pursued by someone or something? Is he ailing and needs to sit down and recover with a medicated dose of croissant to alleviate his withdrawal symptoms?’ What on earth was wrong, that we would need to immediately have lunch, and to have this direction stated as if he were in an episode of a hospital soapie and declaring, “Doctor Hoozerflagin, get me 50cc of adrenalin, stat! We’re losing him!” I soon learned the reason behind his urgent and forceful instruction to find somewhere for lunch…now! Those words were soon followed by…”I’ve just found a HOT PIE!! !” Was that all!? Yes, my friends, the Grand Poopah of the pastry had found the British equivalent of the good ol’ Aussie meat pie and the Big Fella wanted to chow down on that delight as quickly as possible, before it went cold or soggy or both! So we swiftly mounted the bikes, spun around with all but a screech of tyres and set off at a cracking pace in search of a picnic table, bench or patch of grass so Steve could get his dose of steak and ale encased in flaky shortcrust…stat! We came upon a picnic table beside the road and swerved over to pull up beside it and sit ourselves down, while Steve reached for the paper bag, revealing his much anticipated pie, muttering a somewhat drool impaired, “Mmmmmmm” and took that first bite! It didn’t last long, it was gone and consumed heartily in a twinkling, with Steve finally wiping the pastry crumbs from his mouth and declaring, “That was sensational!” He was a happy chappy! He then said, “I’ll save my Belgian bun for later.” Yes, there was more! He had found his pie and his buns and pastry in that little bakery and he had another course of delights, just waiting for his next dive into that little bag of joy! 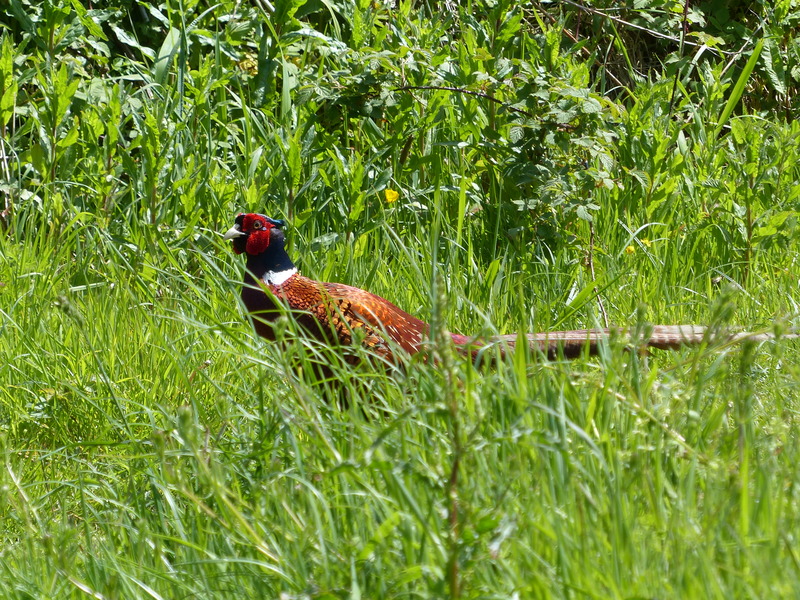 As we had lunch, we were joined by a pheasant. He just wandered over, waddled past and ducked into the undergrowth. No fall out for him I’m afraid, not a crumb to be found, Steve wasn’t giving up any of that pie! We rode on and before long we arrived in the little village of Moreton, where our campsite was soon found. We pitched the tent on our patch of grass, lit the Trangia for a cuppa, which Steve accompanied with his Belgian bun! 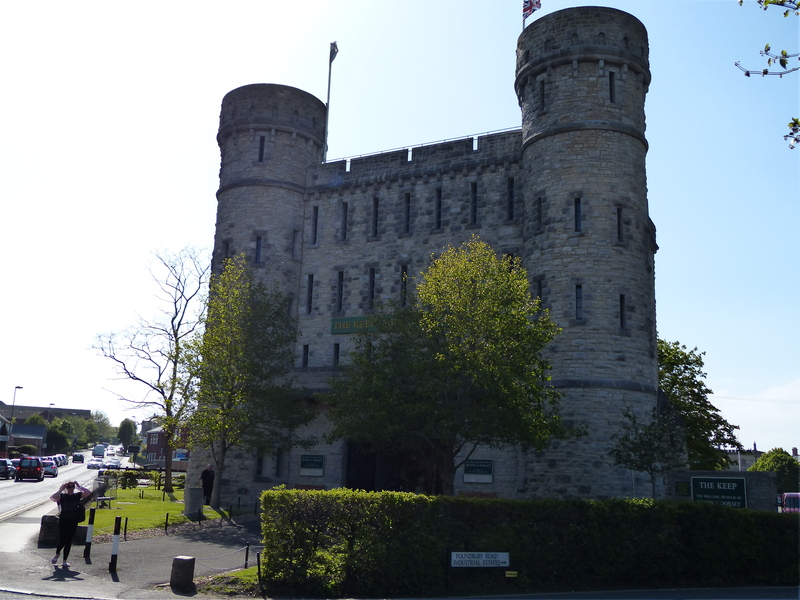 After a quick shower, we walked across the road to the train station and took a short ride into Dorchester for a look around. You may be surprised to hear this, but…I loved it! 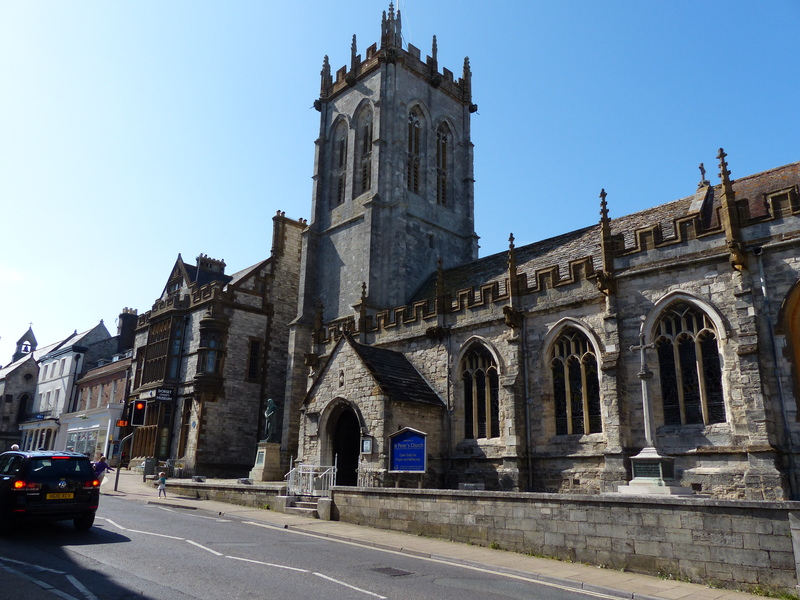 Dorchester is a market town, with beautiful buildings, a charming main street and a lovely atmosphere. 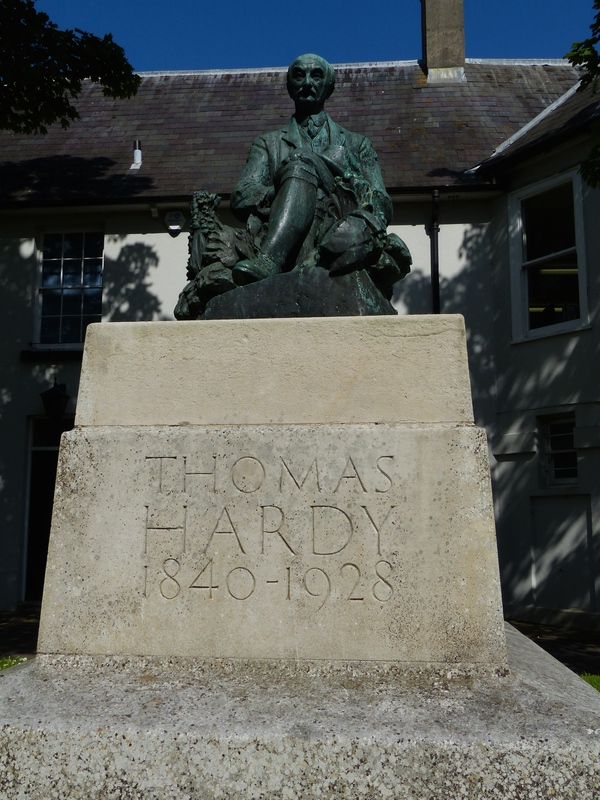 The writer Thomas Hardy spent a lot of time in these parts, as did T E Lawrence and there are references to them in the form of statues and a museum. I would have loved to have had more time here, I would really like to have explored a little more, because it was such a nice place and a charming town. So you’re having a good time then?!?!?!? Thanks Jan! I want to hear about your memories!